Hello all. ;) It's finally spring! Yay!! And it's funny I say that because here in Southern California we've had 'spring' weather since mid-January. But to be able to say its spring... it just makes me happy! And spring means that I can break out all my pastel polishes!!! Gah! These are so cute and sweet they make me sick! I L-O-V-E these nails. Seriously. I really had to force myself to move onto another design after having these on my nails until the polish was chipping. I kept adding layers of topcoat throughout the week to help it last longer, but in the end that only lead to the paint chipping off in one piece, lol. 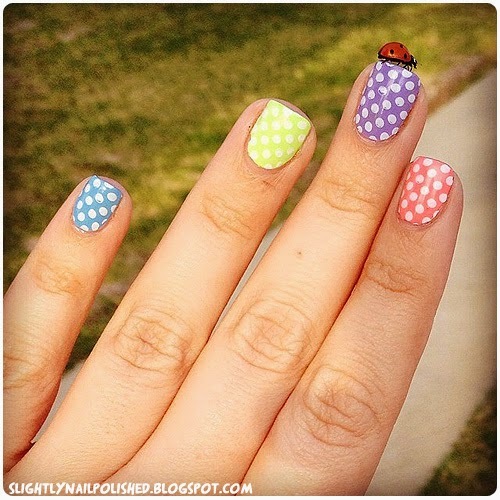 I went with colors that just screamed spring and easter. 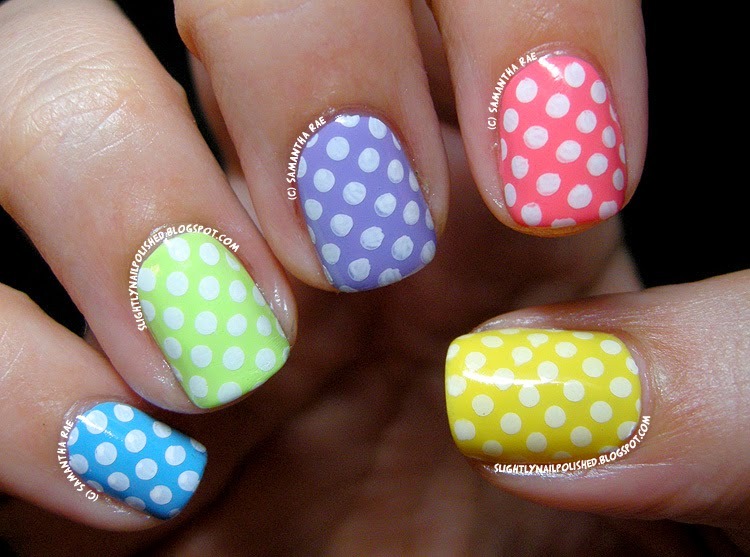 Bright coral pink, voilet, neon green, sky blue and vibrant yellow... Then to make it even cuter I added polka dots. What's not to love? I hope you love this design as much as I do. ;) Have a happy spring and may you have wonderful, warm weather with lots of sun!